Mixing Music (eds: Russ Heptworth-Sawyer & Jay Hodgson), Perspectives on Music Production series, New York / Abingdon: Routledge, 2017. The series, Perspectives On Music Production, collects detailed and experientially informed considerations of record production from a multitude of perspectives, by authors working in a wide array of academic, creative, and professional contexts. The editors solicit the perspectives of scholars of every disciplinary stripe, alongside recordists and recording musicians themselves, to provide a fully comprehensive analytic point-of-view on each component stage of record production. Each volume in the series thus focuses directly on a distinct aesthetic “moment” in a record’s production, from pre-production through recording (audio engineering), mixing and mastering to marketing and promotions. 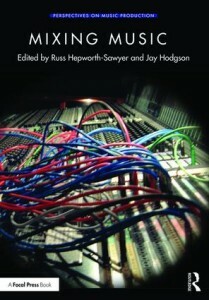 This first volume in the series, titled Mixing Music, focuses directly on the mixing process. Gary Bromham, a member of the FAST team from Queen Mary University of London, contributed a chapter entitled “How Can Academic Practice Inform Mix-Craft?”. According to Bromham, the democratisation of music technology has led to a stark change in the way we approach music production and specifically the art of mixing. There is now a far greater need for an understanding of the processes and technical knowledge a mix engineer, both amateur and professional, needs to execute their work practices. Where the intern once learned their craft from assisting the professional in the studio, it is now more commonplace for them to learn from a book, an instruction video or within a college or university environment. As Paul Théberge suggests, explains Bromham, there is a ‘lack of apprenticeship placements’ (Théberge 2012). Unlike the 60’s, 70’s and 80’s, these days anyone can make a record, quite often working remotely and increasingly using headphones rather than speakers, and in many cases, using spaces that weren’t designed to be studios. We use sound libraries, plugin presets and templates and in doing so create the illusion that an understanding of how we arrive at the finished sound isn’t necessary. Technology gives us infinite options and possibilities but in doing so often stifles creativity and inhibits decision-making. There is a feeling that we are using the technology without understanding it. Bromham advances that it is therefore more important than ever that the student and practitioner alike learn how to approach mixing with some grounded theory and scientific knowledge. The DAW and the project studio have become ubiquitous yet they are metaphors for the traditional recording studio. Academic research practices such as ethnographic studies, scientific evaluation and auditory analysis (acoustic and psychoacoustic) can all greatly assist the understanding of the mix engineer’s craft. How can we learn from aesthetical, musicological, historical and scientific studies and apply them to a contemporary studio workflow?, asks Bromham. Two other members of the Queen Mary FAST team, Mathieu Barthet and George Fazekas also contributed to Bromham’s piece by way of interview. 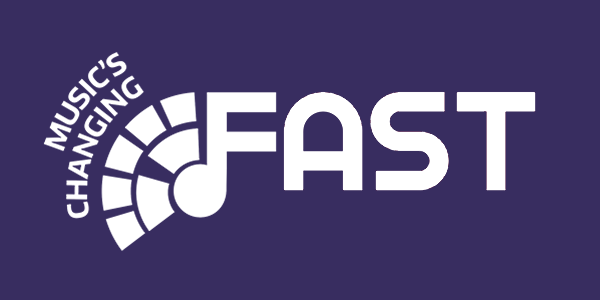 They namely stressed on the importance of multidisciplinary perspectives on mixing and the use of human computer interaction design methods to transform creative agency in the digital audio workstation. Gary Bromham is now conducting PhD research supervised by George Fazekas, Mathieu Barthet and Marcus Pierce, looking into how technology influences music production practice and musical aesthetics. Helps specify the term “record production,” especially as it is currently used in the broader field of music production studies.